Hi loves! I have a quick post for you guys! Getting ready for St. Patrick's Day! I'm really excited, today my friends and I will be going to the annual St. Patrick's Parade in NYC. And after given much thought, I decided to recreate my St. Patty nail art design, I did last year. It's a little different of course. 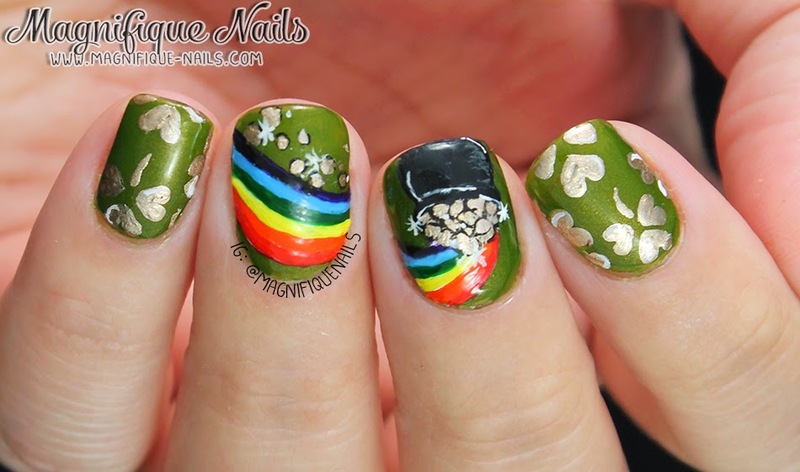 But I after I finished the design, I realized I did a minor nail art mistake on the shamrocks. Don't you guys hate when that happens! I was going to redo the design, again, I was just a little lazy to do that. Besides I really like how they came out, even for that minor error. For this design I started off with two coats of Super Black Nail Lacquer The Stag. 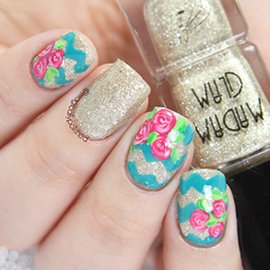 Which was the perfect shade to use for this mani. It's such a lovely green with gold shimmers throughout. Once the polish was completely dried, I freehanded the shamrocks, using Essie's Good as Gold. 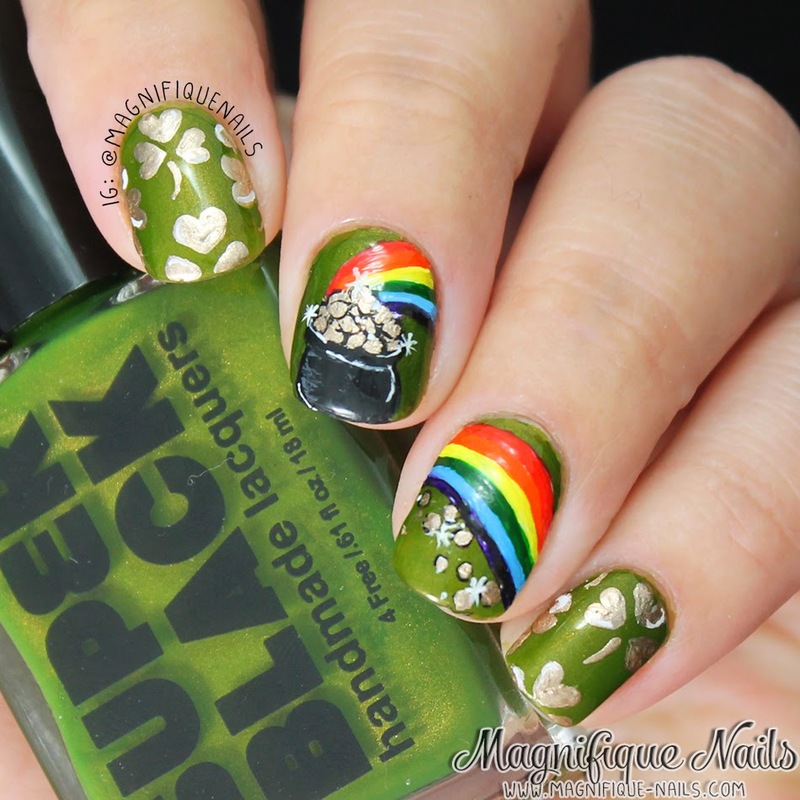 Now for the pot of gold, I used Sinful Colors Black on Black. I then freehanded the coins with Essie's Good as Gold. 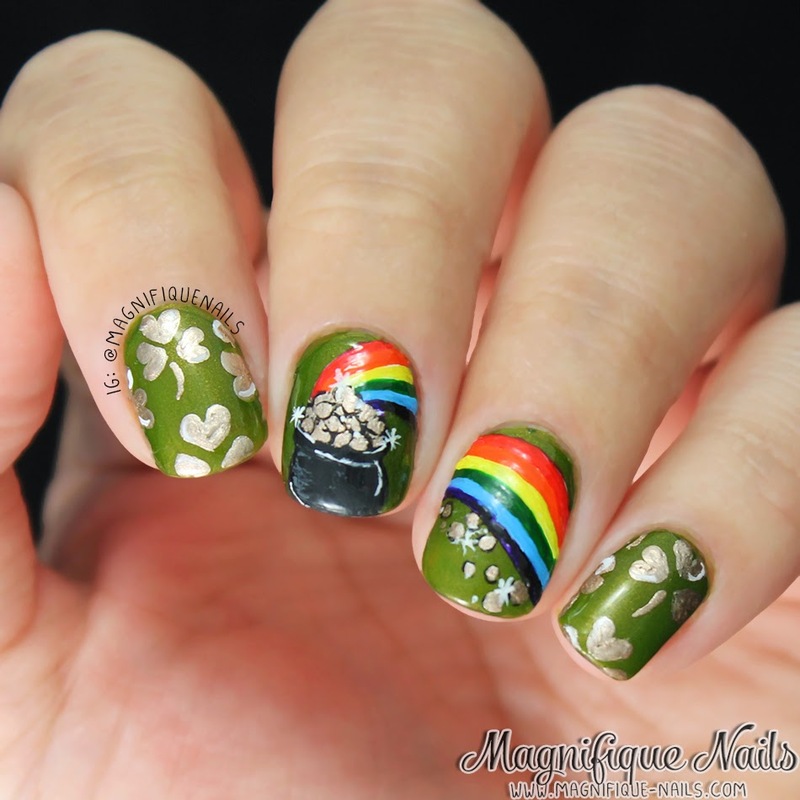 I noticed this is a common nail art design for St. Patty's, but what a better representation for this holiday. I then went on limb, by using acrylic paint for the rainbows.